It was towards the end of March this year. The place we are referring to is Bagalkot, a district in North Karnataka. 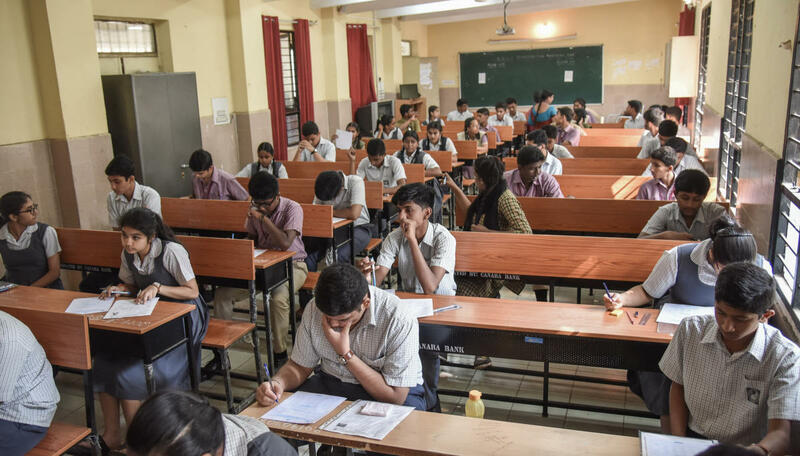 Even as the SSLC exams conducted by the Karnataka Secondary Education Examination Board (KSEEB) had just commenced, an incident of mass copying came to light. What made it worrisome was that the teachers themselves aided the students to copy. Though the rules specify that individual subject teachers should not be posted in examination halls when the corresponding exams are underway, some schools do not abide by such rules. Not only had teachers entered the examination centres in Bagalkot but also helped students copy en masse. All they cared about was that the district should figure among top 10 in the state in terms of pass percentage. the teachers help students mass copy at ease. This is a district that had an overall pass percent of 67% in SSLC 2018 exams. 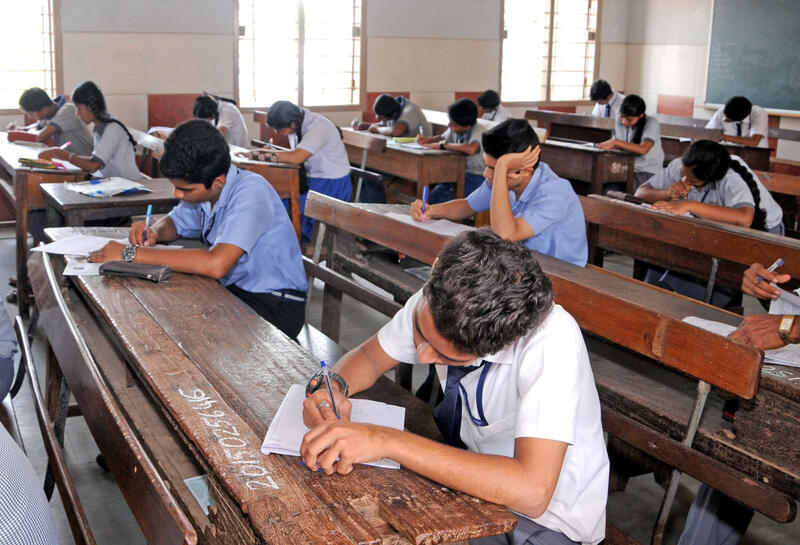 The previous year’s results were no better either, just 61% students who appeared for SSLC exams had passed. This easily pushes the district to be among the worst performing districts such as Yadgir, Raichur and Bidar in the state. An undying pressure forcing them to deliver, makes the teachers resort to means that has a direct bearing on students learning from them. From incidents of mass copying prompted by teachers to conducting extra classes during vacations are simple indicators of the same. While in government schools, teachers believe that pressure comes from non-teaching work, in aided schools, the situation is different. A recent circular by the Department of Public Instruction sets goals and targets for individual teachers. The state government, in the past, has made several attempts to take action against aided schools to ensure they give better results. The government in 2018 had said that the grant-in-aid to these schools would be cancelled and that posts of teachers lying vacant in these schools would not be filled unless the schools show an improvement in performance. As per these norms, aided schools had to have satisfactory SSLC results. The government had said, that individual schools would have to have a pass percentage above that of the district average. However, following opposition from various groups that it would only affect students studying here, the circular had to be revised. The attention shifted towards individual teachers this time. The revised circular specifies that each teacher must ensure that at least 60% of the students they teach must pass, failing which their salaries would be withheld. Also, over five corresponding years, if 50% of the students studying in the schools do not pass SSLC exams, then the grant-in-aid to these schools would be withdrawn. Whether working in aided, non aided or government schools, it is just the form of pressure that varies, say experts. Prior to commencement of exams, there were reports from various schools about students being forced to appear as private candidates as teachers hope to achieve 100% results in their schools. This year, one such incident came to light from the Government Primary School in Yelahanka, in Bengaluru. Parents who staged a protest claimed that the principal of this school had on purpose not submitted details of students who are less likely to pass to KSEEB, as this would affect school results. Nagasimha G Rao, child rights activist, said, that the results of schools is not a reflection of how much the students have grasped. “There were several incidents in the past where children have confessed to us that teachers had given them assurances that if their exam centre is in a particular school, they will pass for sure,” he added. Rao explains that teachers also want to make a mark in their career. “High pass percent in government schools also contributes to their promotions and perks. They get to qualify for best teacher awards with this. Teachers in several districts assure students of help during exams and in return these students are expected to give good feedback about the teachers to the Block Education Officer,” he said.